tarotpsych homepage window)… Ideally, hatch at least one green guy per month. 1. Generate 3 random integers (ranging from 1-499). Use PRNG simply by click here. [Note: “Pseudo” Random Number Generators (PRNGs) produce a sequence of numbers using a method (usually a software algorithm) which is predetermined and therefore, in theory, predictable. However the algorithm is sufficiently complex to prevent the sequence being predicted unless an initial “seed” value is known]. 2. Use ‘OPEN SEQUENCE’ generator page. Generate 3 integers between 1 and 499 (or 1-394 plus Second Spin for “taste”), then scroll through HATCHERY to find each Number/Analogue. Reflectupon/record your synchronistically-obtained information. 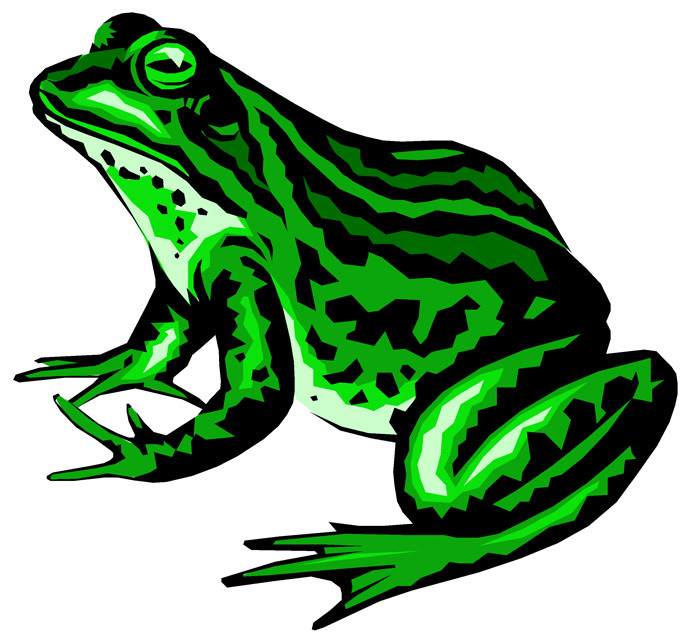 (Use streamlined “Frogsheet” in Files to quicken production). 3. 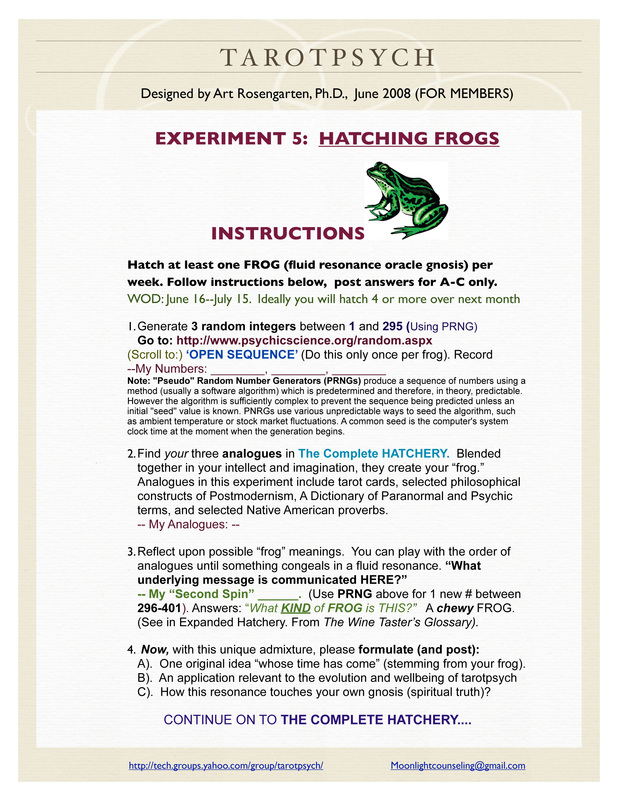 Blend/craft items together using your intellect, intuition, and imagination to create THIS unique “Frog.” Hatchery categories include: Tarot (phrases & spectrums), philosophical constructs of Postmodernism, a dictionary of Paranormal and Psychic terms, Native American proverbs, a lexicon of Swiss psychoanalyst C.G. Jung, and the Wine Taster’s Glossary. B). An application relevant to the evolution and well-being of tarotpsych. C). How this resonance touches your personal gnosis (spiritual truth)?